Undefeated IBF welterweight champion Errol ‘The Truth’ Spence Jr 24-0 (21) wants to unify his belt with newly-minted WBC kingpin Shawn ‘Showtime’ Porter 29-2-1 (17) after the 30-year-old Las Vegas-based Ohioan defeated Danny Garcia 34-2 (20) on points on Saturday night. 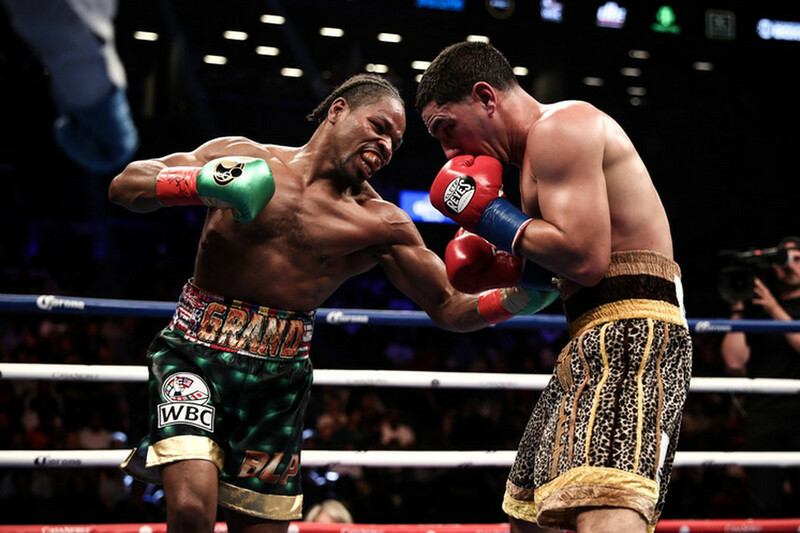 Spence Jr entered the ring at Barclays Center in Brooklyn, New York after the fight to issue the challenge to his Premier Boxing Champions stablemate. Porter said the fight would be easy to arrange. “This can be the easiest fight to make right now,” he replied. Porter, who previously won the IBF title from Devon Alexander in 2013 only to lose it in his second title defence to Kell Brook the following year, defeated the 30-year-old Garcia in a nip-and-tuck battle over 12 rounds to claim the vacant WBC crown. Two of the judges had Porter winning 115-113, while the third had him ahead 116-112. Philadelphia’s Garcia was disappointed with the result and believed he had done enough to claim the title.